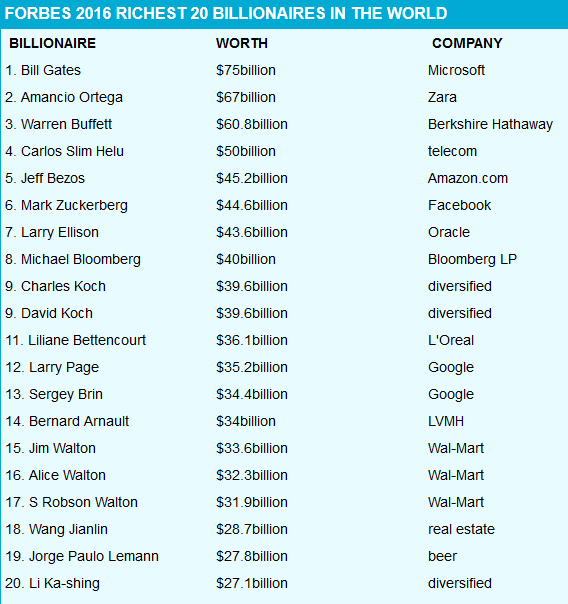 Also holding steady is Buffett at No. 3. Zara ’s Amancio Ortega moves up to No. 2 for the first time, displacing Mexico’s Carlos Slim, who slips to No. 4. Slim’s fortune fell $27.1 billion to $50 billion in the past year, as shares of his telecom business América Móvil tumbled. 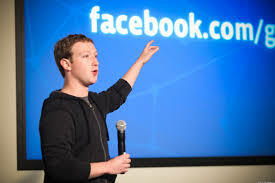 Facebook’s Mark Zuckerberg had the best year of all billionaires. The 31-year-old added $11.2 billion to his fortune and moved up to No. 6 from 16. He and Amazon’s Jeff Bezos both make their first appearance in the top ten of FORBES’ annual ranking of the world’s wealthiest. Another first: A billionaire from China’s mainland, Wang Jianlin, whose company owns AMC Theaters and soon will own Legendary Pictures, has climbed into the top 20.